Another bonus? This spicy slaw makes great leftovers. You've got to love food that effortlessly gets better and better as it sits around. 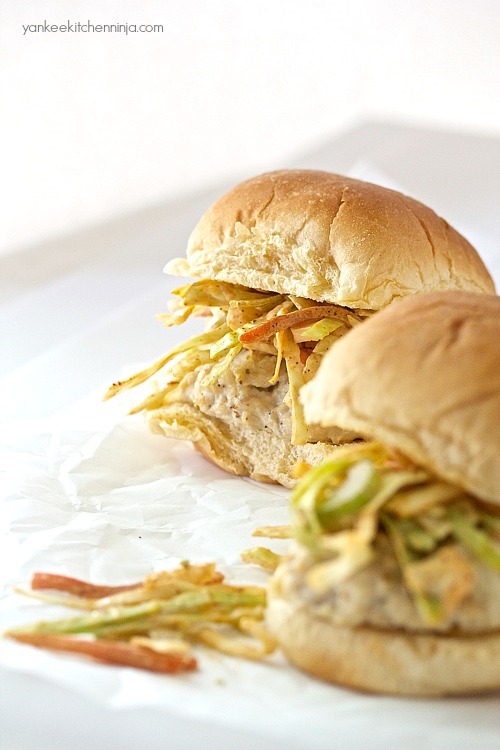 So plan on brown bagging some leftover sliders and slaw for lunch the day after you cook them. Two meals in one -- even more time-saving! So, again, slaw on burgers: yay or nay? Leave a comment: The Ninj wants to know. In a large bowl, whisk together the first four ingredients (mayo through sugar) to make the dressing. Add the cabbage, celery and carrot, mix well, season to taste with salt and pepper, then refrigerate for at least half an hour. In another bowl, combine the chicken, mayo, mustard, salt and pepper (best done using your hands). Shape into 8-10 slider patties and place on a prepared baking sheet. Bake for about 10-12 minutes or until fully cooked. 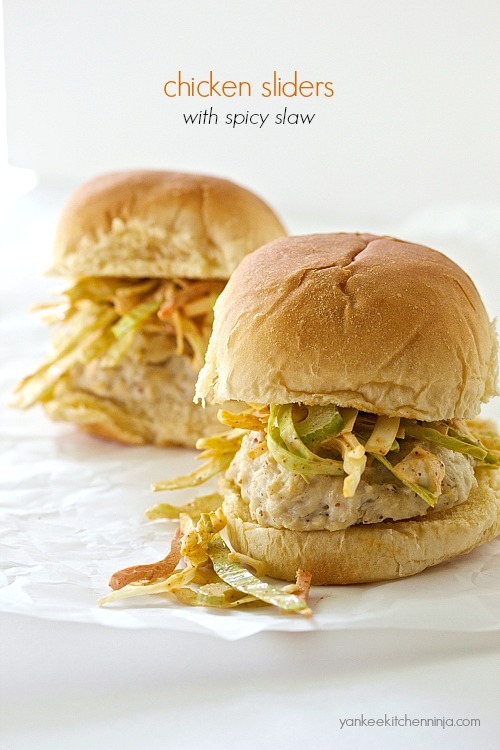 Serve on slider buns topped with spicy slaw. 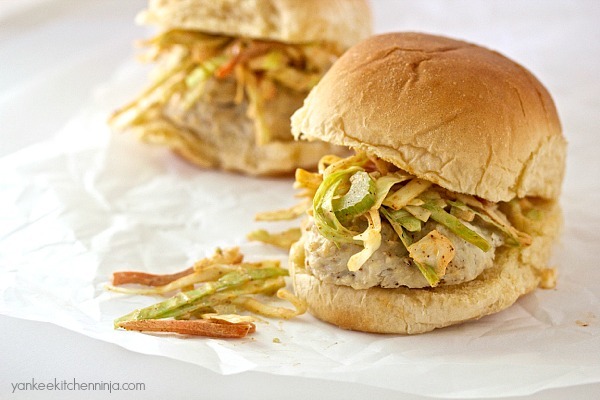 I would never have thought to put slaw on my burger--that is pure genius! This sounds like a really super yummy sandwich, I'm going to try it. Is it hard to find ground chicken breast? No, it's easy to find at most grocery stores. ENJOY! I can't imagine eating a burger without slaw on it !